Everything you need to know about the hottest haircare brand of the modern generation. For a very quick debrief of the brand, see here for my IGK takeover post from last year. You would have seen IGK feature quite a bit on the blog and instagram before. 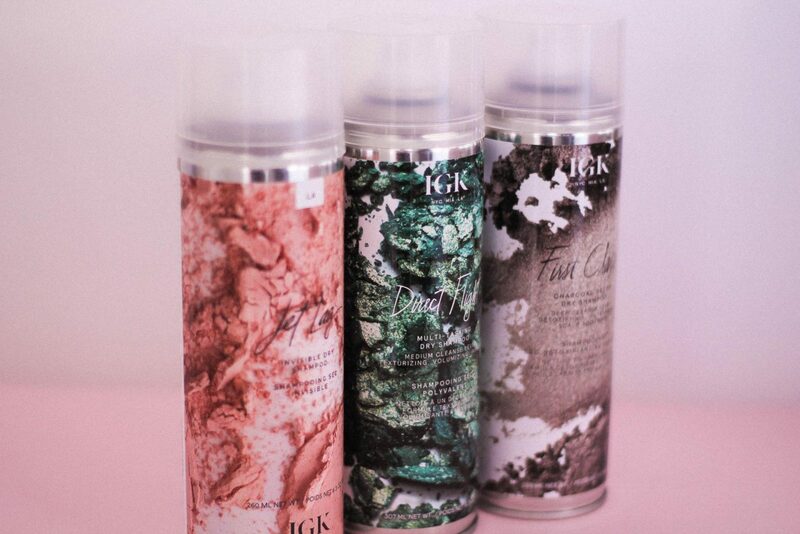 I first discovered IGK in New York City at Sephora in 2017 (view my haul post here), I picked up their Jet Lag dry shampoo and Smoke and Mirrors conditioning cleansing oil. Since then the brand has expended massively; in February 2018 they launched in the UK and are now exclusively sold in Space NK, their product range has grown with even more inventive and utterly genius concepts. 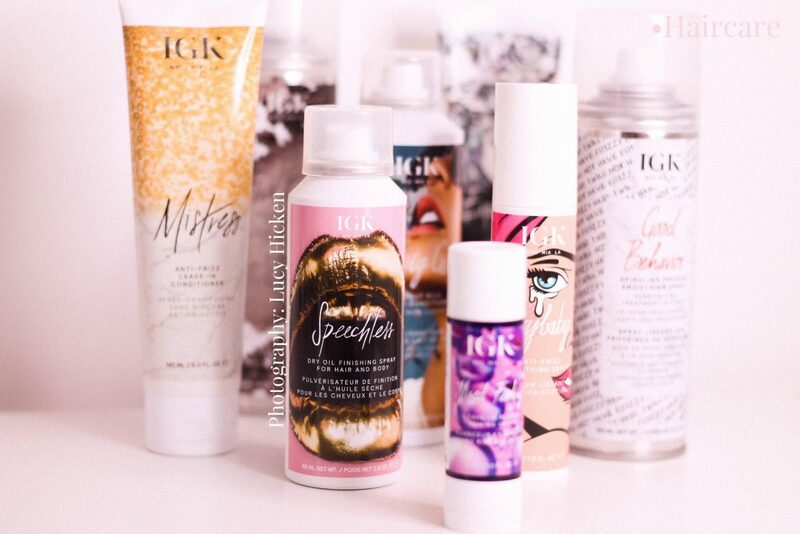 In this post I’m going to be talking through all the IGK products that I have tried and tested, best products for different hair types, what I mostly keep in my working hair kit and the products I reach for daily. Shampoo and condition with BAD & BOUGIE; Amla Oil deep repair to strengthen and nourish. Apply MISTRESS hydrating hair balm to towel-dried hair from mid-lengths to ends to soften and hydrate. Mist GOOD BEHAVIOUR; Spirulina protein smoothing spray, ensuring every strand is thoroughly coated and blow dry to heat-activate the formula. Lastly mist SPEECHLESS; dry oil finishing spray for shine and to control flyaways. They then give you the option to have a copy of the regimen via email + 20% off. My current routine isn’t far off what IGK recommend for me, additionally I use Cry Baby; anti-frizz smoothing serum on my ends to hydrate and control flyaways, Rich Kid Coconut Oil Gel on any unruly areas around my hairline and Thirsty Girl; leave in conditioner for even more hydration. An antioxidant rich blend of oils, including Avocado and Amla Oils, nourish, soften and protect hair. Dry oil finish is never greasy or heavy. Use on dry hair to add shine, soften and reduce frizz. Use on body to hydrate and add shine. Lightweight dry oil finishing spray adds shine, enhances color and reduces frizz without weighing hair down or feeling greasy. Speechless is based off the brands Miami scent, a blend of vanilla, coconut water, midnight violet and pink lotus. 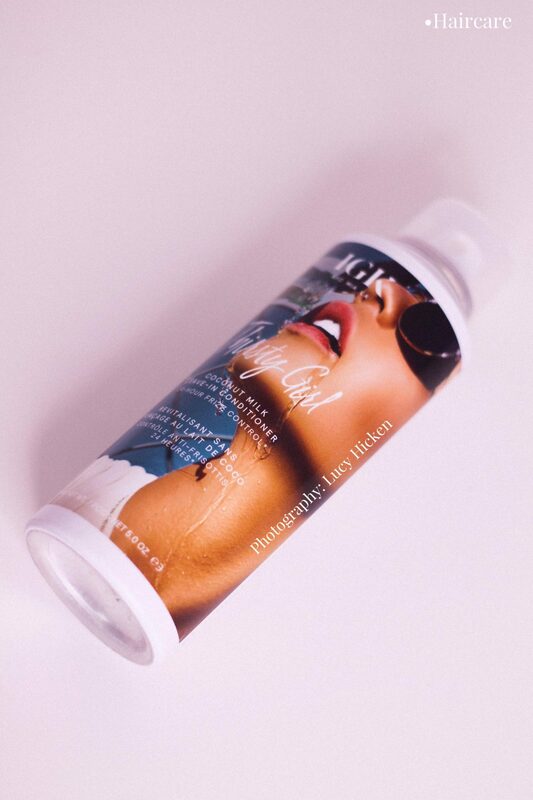 This effortless spray is a staple within my makeup kit to add a subtle glow to my models body. Speechless retails for $27 £23. An anti-frizz smoothing serum, inspired by skincare technologies of having a serum-in-oil formula. This formula absorbs deeper into the hair instead of creating a film on top and sitting on top of the hair cuticle. The lightweight, non-greasy texture is perfect to smooth down fly away hairs, eliminate frizz and also add shine. Like all the IGK products they have heat protection; therefore I love to use this post blow dry and on dry ends. Cry baby is rich in coconut oil to nourish and prickly pear cactus extract (which FYI is my favourite haircare ingredient) to add shine and colour dimension. Cry baby retails for $25 £22 and should be a staple in everyone’s hair care regime! 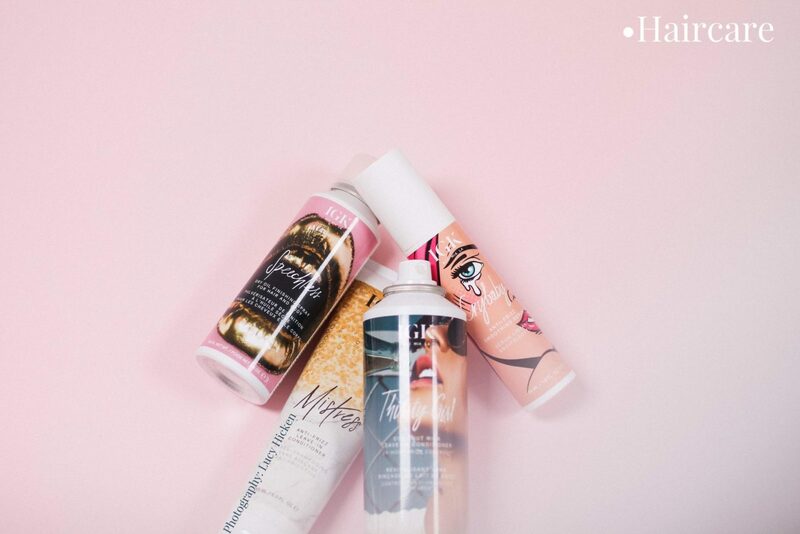 No More Blow is an innovative spray that cuts down air-drying time up to 46% faster, while protecting against frizz, bending and breakage. It’s perfect for curly, textured and hair prone to damage. I like to use this product once I’ve washed my hair in sections to make sure each strand is coated. Massaging the product in with fingers from root to ends. Once the hair is about 80% dry, I like to finish with Mistress on the ends for hydration. Good Behaviour is one of my favourite products from IGK, I’ve already gone through one bottle and lusting for my second. It mimics a keratin treatment, leaving the hair smooth and fizz-free. The plant-based spirulina protein is rich in amino acids, vitamins, minerals and biotin to strengthen, heal and nourish each hair strand to keep it healthy. This is activated by heat and with 450*F heat protection its safe for chemically treated hair. Next Level is packed with vitamin rich virgin coconut oil fatty acids that help to smooth and hydrate strands, while geranium extract keeps the scalp balanced and non-oily. It’s heat-activated formula gives a long-lasting, flexible hold for shiny, workable volume that won’t fall flat. It also has a buildable, non-crunchy volumizing mist thats infused with Nordic Cotton and Cloudberry Extract to visibly thicken hair for touchable body and lightweight shine. Next Level is to be used on damp hair and blow dried in to hold the style and activate the volume. I would recommend this product to anyone with fine and lifeless roots, or anyone who wants touchable, voluminous, high-shine hair. Its retails for $28 £24. 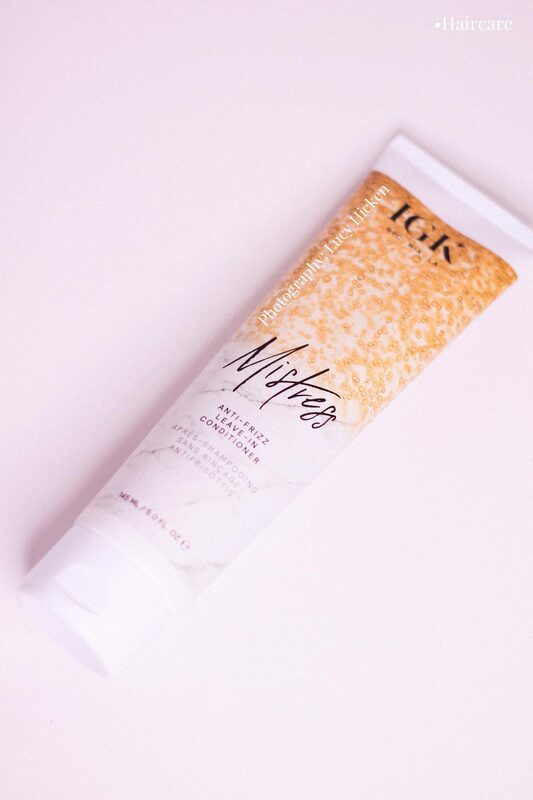 Mistress is one of the first products I had to pleasure trying from IGK. It has an innovative feather-light formula, that melts into each strand of hair to instantly boost hydration, detangle and adds shine. It contains coconut and argan oil to nourish, as well as shea butter which adds moisture. Mistress has the signature Miami scent of guava, coconut water, pink lotus, midnight violet and vanilla. A coconut oil-infused gel that leaves the hair hydrated, whilst creating a lived in, undone style everyone is craving. It’s packed full of coconut oil to restore and repair, plus Vitamin A to strengthen and nourish. I use Rich Kid on damp hair for an undone texture and around my hairline to tame unruly strands, this also strengthens and repairs any breakage and damage. Do you want a light, medium or deep cleanse? 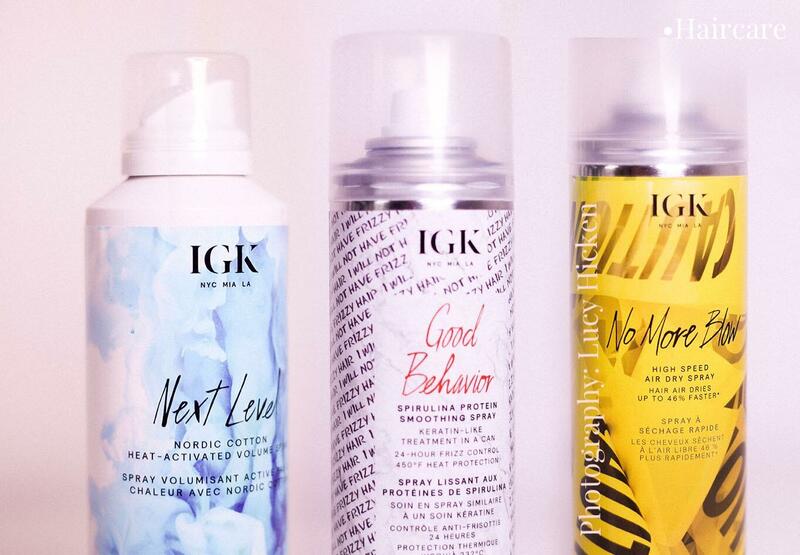 IGK have three different dry shampoos, depending on your hair type and level of cleanse you desire. Jet Lag erases mild dirt and oil without leaving the hair dry or brittle. Its weightless formula is great post hair wash day to add texture and grit. Or even on second day hair to cleanse the scalp. It contains 1% active cleansing powders as well as volcanic ash to purify, ginger root extract to soften and mango fruit extract to smooth. Jet lag is perfect if you have fine hair, a dry to normal scalp and freshly styled hair. This one is my personal favourite, it gives the hair volume and a texture boost whilst absorbing oils, dirt and buildup. 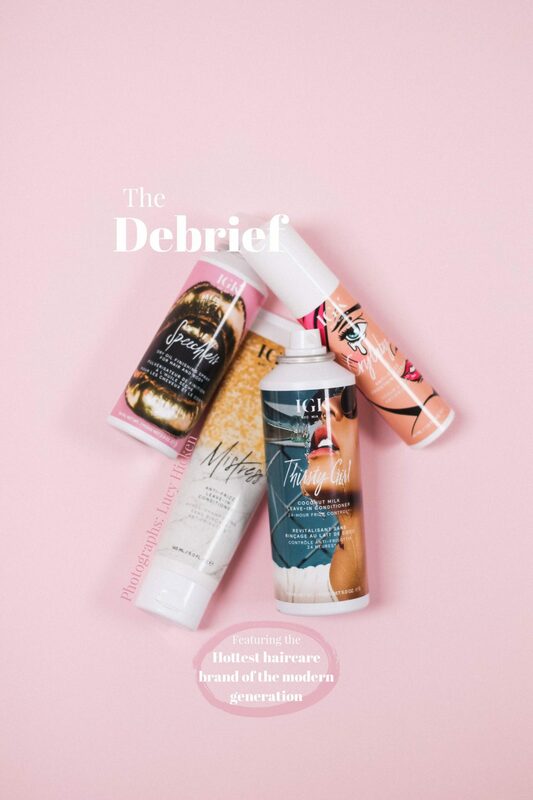 Direct Flight will give your hair a medium cleanse so it is perfect for 2nd-3rd day hair. 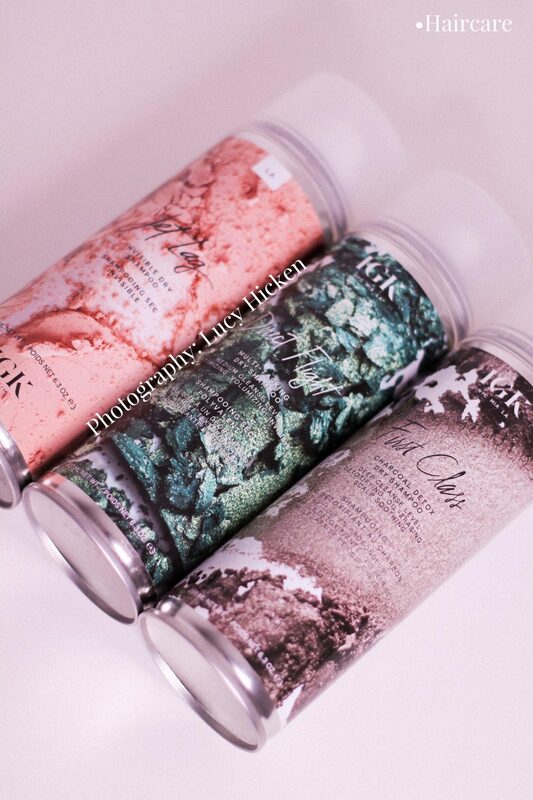 It contains 3% cleansing powders as well as turmeric to lightly cleanse and charcoal powder to lift dirt and build-up. It doesn’t leave the hair dry or brittle. Direct Flight is perfect if you have medium hair, normal to oily scalp and 2nd day hair between washes. First Class is heavy-duty, so it allows you to go even longer between washes. It contains 7% active cleansing powders as well as detoxifying charcoal powders to lift dirt and build up, whilst being cooling with the white tea powder to calm the scalp and strengthen the hair. First Class is perfect if you have thick hair, an oily scalp or just worked out / can’t go another day without washing. My tried and true favourites. Expensive; as you can tell for the photograph I am completely out of this product and it is an absolute god send for my bleach damaged locks. Amla oil Hi-Shine topcoat is a UV protecting glaze that creates a weightless shield that adds shine and dimension. Amla oil adds nourishment whilst strengthens and softens the hair after colour treatments. The topcoat seals the cuticle to prevent colour fading and further damage to heat tools. Thirsty Girl; a coconut milk infused leave-in conditioner spray, with skincare technology. Thirsty Girl creates a rich moisture barrier for deep hydration, with a patented Hyaluronic Acid to protect hair from damaging pollutants. The pure coconut milk nourishes, smooths and ensures the hair is frizz-free for up to 24 hours. Concentrated blonde toning drops to keep blonde, silver and violet shades strong and brass free. I love mixing these in with Mistress for added hydration and frizz-free locks. An absolute must have for blondes. 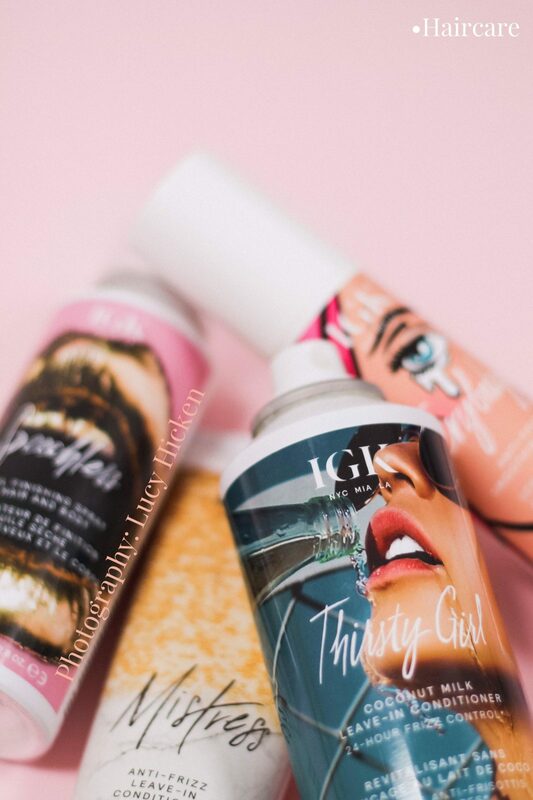 IGK have answered all my prayers with there newest release – Thirsty Girl Anti-Frizz Shampoo and Conditioner! I am alllll over this and can not wait to get my hands (and hair) on it. It has the same formula and ingredients as my favourite leave in conditioner treatment but in a shampoo and conditioner formula. YES PLEASE! The packaging is absolutely everything, i’m obsessed, again. 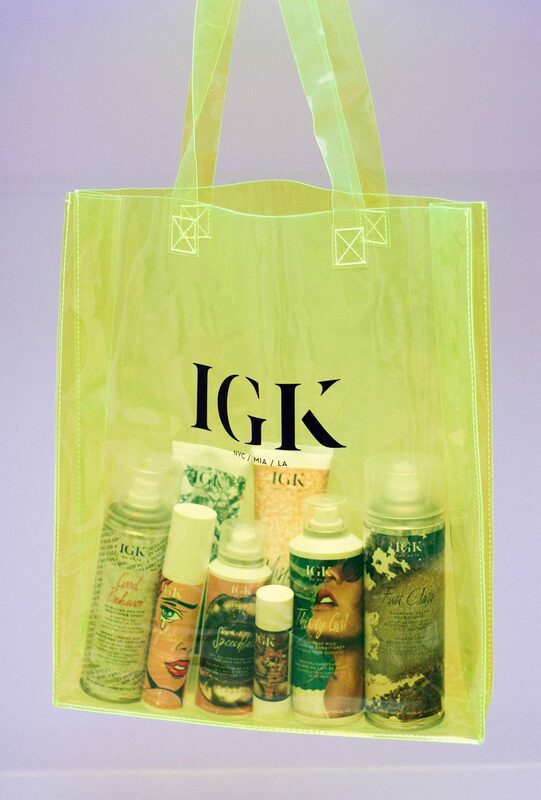 Have you tried anything from IGK yet? Its sold exclusively at Space NK within the UK and in Sephora (& now Ulta) in the US! Please do let me know what you think of the brand and the products you’ve tried! If you didn’t know already I’m completely obsessed with everything IGK bring out so keep it coming guys, my hair appreciates it.